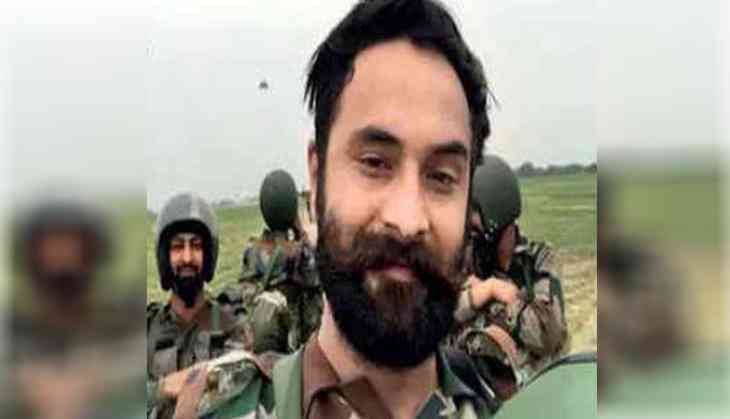 Lance Naik Sandeep Singh, a 2016 Surgical strike hero of Indian Army's Para (Special Forces) martyred for his mother land at Line of Control between India and Pakistan in Jammu and Kashmir's Tangdhar on Monday. He was a part of the unit that conducted the 2016 surgical strikes on Pakistan in 2016. The brave Singh, hailed from Punjab's Gurdaspur. The 30-year-old Lance Naik Sandeep Singh joined the armed forces in 2007, who is survived by his wife and a 5-year-old son. Before breathing his last, he killed two infiltrators at close range. Indian Amry paid tribute to braveheart: "#ArmyCdrNC and all ranks salute the supreme sacrifice of L/Nk Sandeep Singh & offer deepest condolences to the family. @adgpi @PIB_India @SpokespersonMoD," Army's Northern Command's official handle tweeted. Two militants were killed in the operation on Sunday. "Three more terrorists have been killed today as the Army foiled an infiltration attempt along the LoC in Tangdhar sector (in north Kashmir's Kupwara district)," an Army spokesman said.